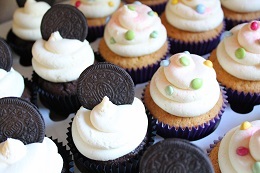 This is where it all started for us - the original (and some say the best) way to have your special Striped Apron Bakery cake. 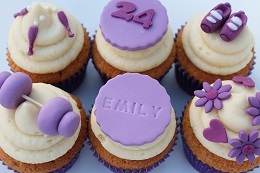 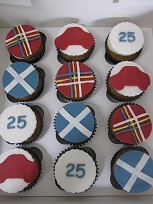 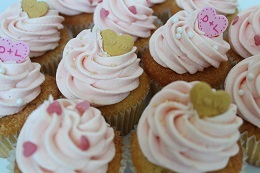 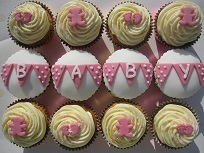 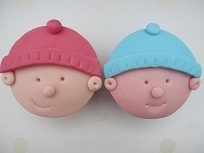 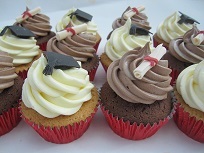 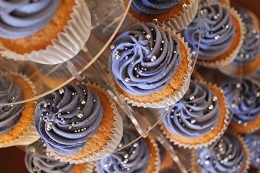 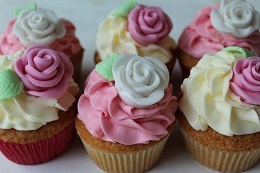 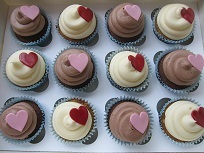 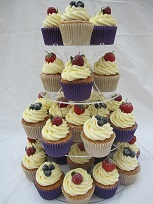 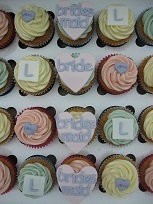 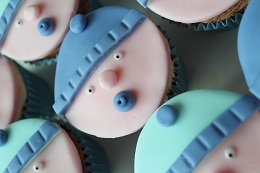 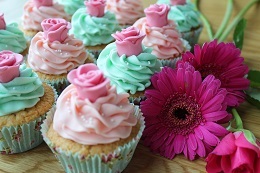 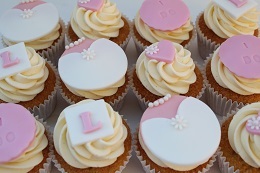 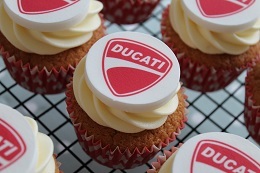 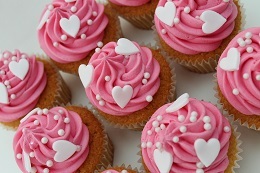 We've baked cupcakes for weddings, gifts, parties - you name it! 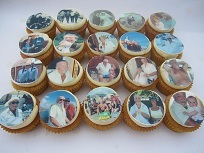 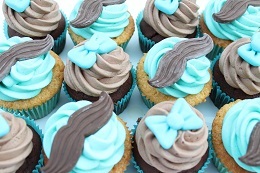 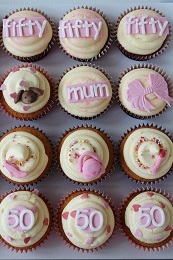 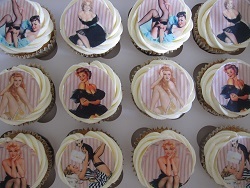 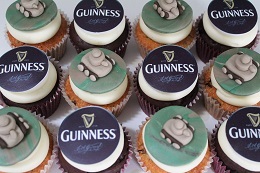 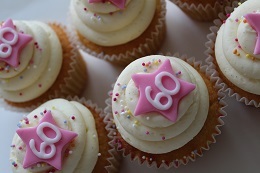 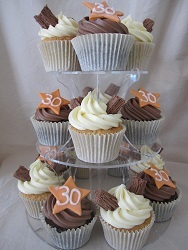 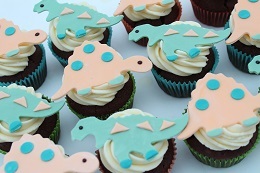 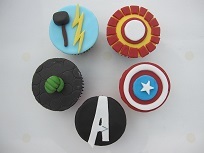 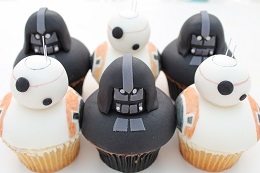 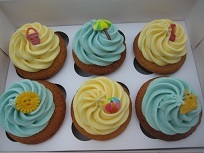 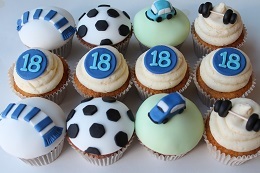 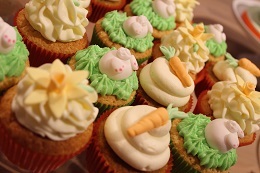 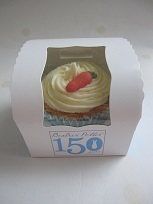 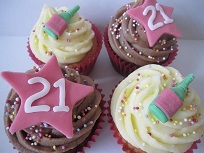 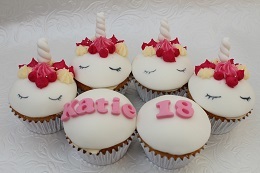 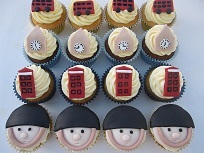 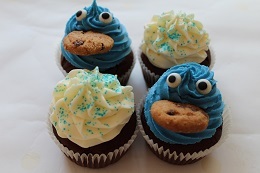 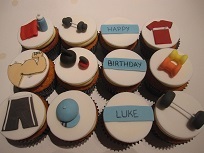 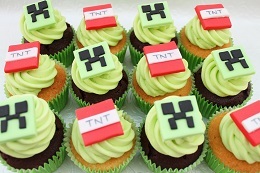 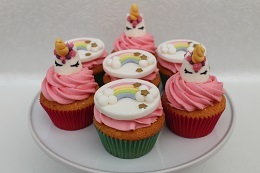 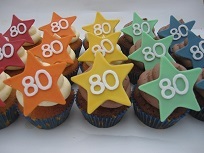 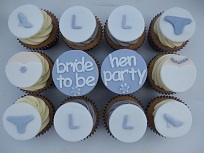 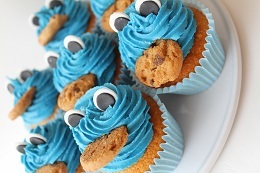 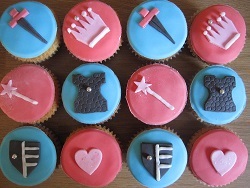 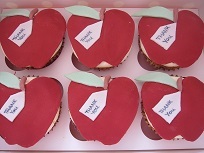 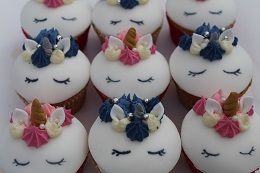 We can do everything from a single box to 100+ themed cupcakes to ensure your occasion is special. 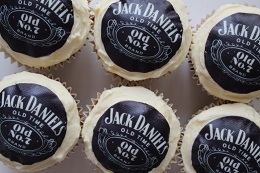 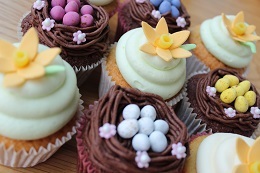 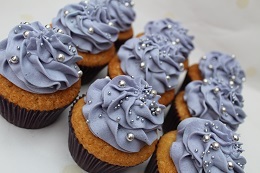 Our cupcakes come in a variety of standard flavours (vanilla, lemon and chocolate), although we can experiment with virtually anything for a more unique creation - personal favourite to date has been a Jack Daniels flavoured cupcake. 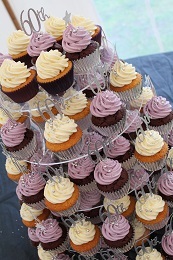 We can also make mini cupcakes - most suited to a childs party - and giant cupcakes - to serve 25 people; these are a true spectacle. 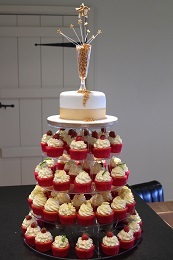 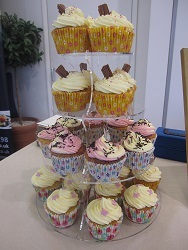 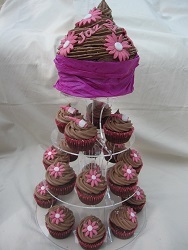 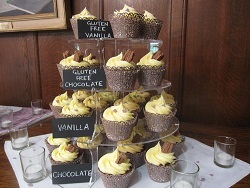 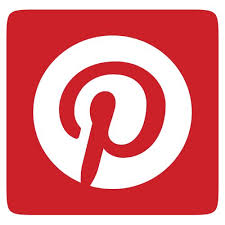 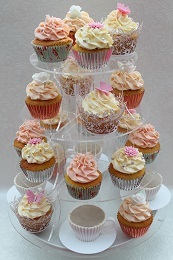 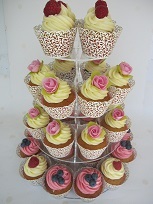 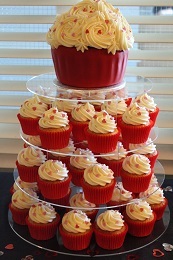 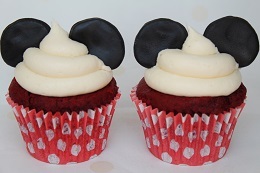 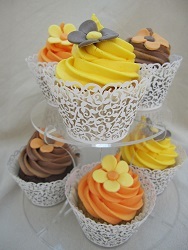 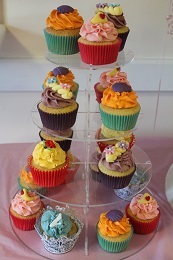 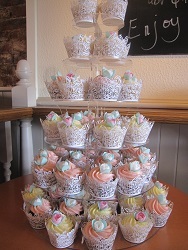 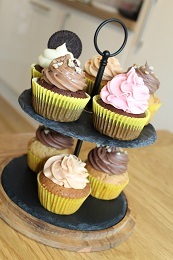 We can hire you a cupcake stand if you would like to display your cupcakes before guests get to try them.